. إن Casa Favilla Bed & Breakfast حريص على توفير الراحة للنزلاء، فلا يوفر الموظفون جهداً في تقديم أفضل الخدمات وضمان حسن الاستقبال. يقدم الفندق فرصة للاستمتاع بشريحة واسعة من الخدمات بما فيها: واي فاي مجاني في جميع الغرف, تسجيل وصول/خروج سريع, واي فاي في المناطق العامة, صف السيارات, غرفة عائلية . ادخل إلى واحدة من الغرف 3 وتخلص من عناء نهار طويل بمساعدة مجموعة كبيرة من الخدمات كمثل تلفزيون بشاشة مسطحة, اتصال لاسلكي بالإنترنت, اتصال لاسلكي بشبكة الإنترنت (مجاني), غرف لغير المدخنين, مكيف هواء الموجودة في بعض الغرف. يقدم الفندق مجموعة رائعة من الخدمات كمثل حوض استحمام ساخن, مسار جولف - ضمن 3 كم, حديقة, غرفة ألعاب، لجعل إقامتك تجربة لا تنسى. استمتع بخدمات لا يعلى عليها وعنوان ذو اعتبار في Casa Favilla Bed & Breakfast . I stayed here for a night during the GOR Running festival. It's a very comfortable and quiet B and B and the couple who run it are very kind and helpful. I'm definitely considering this again for next year. It's not super central, but it's only a 10 minute walk and it's lovely and quiet. Thank you! Gerald was friendly and detailed in explaining the works of the house. Coffee, tea, bread, butter, jam, peanut butter, yogurt and cereals were provided as self-service for breakfast. Room was comfortable with reasonable heating. Gerard is a great host - kind, polite, helpful, and really dedicated. He'll tell you of places to visits while discussing his passion for travelling, cultures. The place is clean, with a beautiful garden, and literally less than five mins from the beach. Breakfast is good, and the kitchen well equipped. Great value for money! Good location, very clean room, cosy sitting room, very organised utensils in the kitchen and healthy breakfast available the next morning. The owner, Gerald was very friendly and we had the “family feel” when staying there. 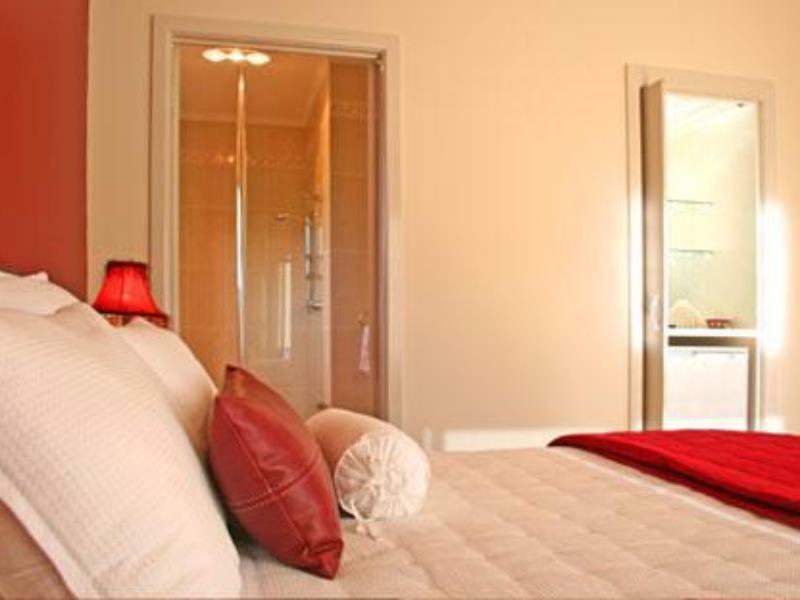 Very comfortable beds and beautifully clean rooms with good size bathroom en-suite. Great communal lounge, dining area and kitchen. Beautiful garden and patio for sitting outside in fine weather. Minutes away from everything in town. Overall, we were delighted with our stay. Checked in after 10pm and the host Gerard is very nice and welcoming! Room is very clean and the shower is strong enough! Love the European pillows on the bed and you can enjoy sunlight in the terrance behind your room next day morning. Full selection of bread & jam, yogurt, milk, tea and coffee in the kitchen. Highly recommend to book here if you are seeking for a place to stay in your self-driving GOR trip! This B&B feels like it belongs in a novel. Apollo Bay is a small town and this place fits in perfectly. We enjoyed the host and and house. The owner gave us wonderful suggestions on places to stop. Without them, we probably wouldn't have seen wild koalas. The place itself is very comfortable. The garden was beautiful and seemed like a nice place to relax if you are staying more than one night. It was my first B&B and I felt right at home! Gerard was very friendly and made me feel most welcome. Outstanding array of coffee and breakfast options. Nice complementary glass of port was appreciated as a nightcap before heading off to a very comfortable bed. The room is clean and beautiful, they even so caring to have a heater in the bathroom to keep us warm in winter. Host is so nice that he even gather all the information of nearby restaurants, activities and map for us. Two story single family house, short distance to restaurants, clean rooms, friendly owner. It was early winter but my room has no heater or broken heater. The other room was warm. Shower water pressure strong and hot. Good breakfast variety, some expired on date. I will definitely come back again. We spent Easter 2018 at Casa Favilla. The Green Room was a great choice as it was at the rear of the property and opened onto a deck looking over the garden. Gerard was extremely welcoming and knowledgeable of the locale. Casa Favilla is within easy walking distance of the town, making shopping or going out to eat very accessible. Breakfast supplies were fresh, varied and plentiful. It was a peaceful and relaxing getaway. I would highly recommend Casa Favilla to other couples looking for a few days away. Although there were other guests staying at the venue, we felt as if we had the place to ourselves. Location is not easy to find due to the hidden signboard by the trees. Very Clean & Comfortable room. Gerard is very Helpful & Friendly. Very homely & Cosy place to stay in. Thanks Gerard. 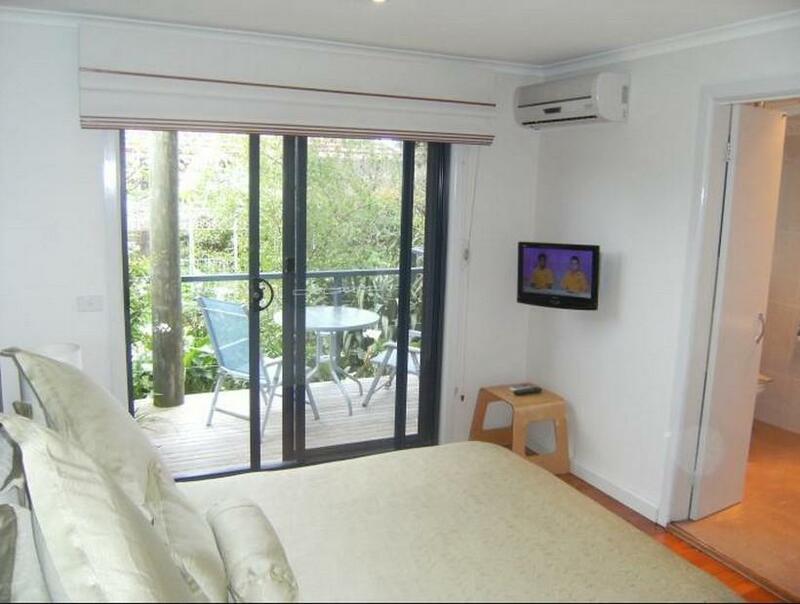 Excellent location, easily walking distance from all shops, beach etc. Everything provided to make a very comfy stay. Beautiful home, lovely room with a view of the garden. Very near the town and beach. The host was very friendly and helpful. The bed and sheets were divine! I slept really well fter a long drive. Breakfast provided was a plus. Definitely would recommend. nice and neat. The room is comfortable, The host is much warm welconice and neat. The room is comfortable. The host is much warm welcoming and help us a lot. And we also talk about the tea culture all over the world. Feel like we are at home! Long post, but worth a read.... We booked Casa Favilla a couple weeks prior to our trip (not a last minute booking) partly because the reviews were very good. We arrived about 3:30pm as scheduled. We were shown to our room, Camera Rossa, and the room was very very cold. We had just spent the day on the Great Ocean Road at 9 degrees so we were chilled and looking forward to being inside. Gerard mentioned the wall heating unit broke down so he put in a small portable heater - I was skeptical the small heater could warm the entire room but went along with it. We went out for a bit more sightseeing and came back two hours later and the room was still not warm. Gerard brought another portable heater, we went out for dinner and came back to a cold room. We slept in our heavy clothes and froze all night. In the morning I told Gerard we froze - he gave no comment or apology just said "well, the sun is shining today'. The common kitchen and the common room were also very very cold, so to eat breakfast you needed a coat and hat! We found out in further discussions that the heating unit broke down couple of days prior to our arrival (not the day we arrived like I assumed). Gerard did not feel it necessary to change our room, give a discount or notify us to see if we still wanted the room. Completely unacceptable. I was absolutely amazed at the lack of service. We stayed in Tourquay, and Port Fairy at B&B's and had wonderful warm rooms and perfect customer service. Gerard just did not have a clue. 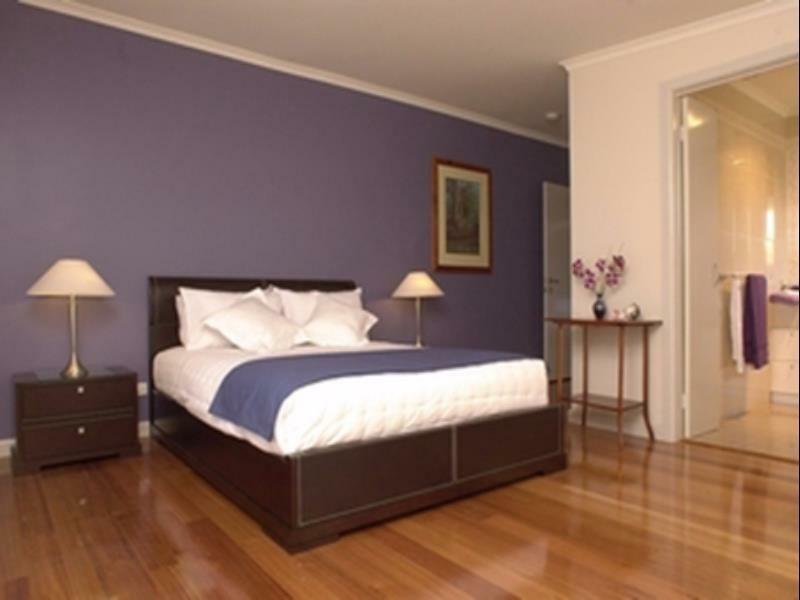 Lovely house, fantastic room (Blue Room) and superb lounge/dining area. Very comfortable with beautiful furnishings. Gerrard is an excellent host, very knowledgeable and super friendly. Would stay he re again.